Take a browse through websites such as eBay and you will find dozens of familiar items from your childhood that may have seemed worthless at the time, but are now being sold for hundreds, if not thousands of pounds. In this day and age, selling collectible items long after they have stopped being made is a great way to make yourself some money in the future. So, what could you buy in 2015 and sell 25 years later for more money? Read on for our top 10 collectible items for this year. Steven Gerrard has been a part of the Liverpool team since his first appearance in 1998, but this year sees his last ever match with the club taking place on Sunday 24th May against Stoke City. If you’re a fan, then no doubt you may be purchasing a 2015/16 shirt with the classic number 8 on the back, but will it be worth something in 25 years’ time? Football merchandise can rise in value over the years, and a Gerrard shirt that was purchased during his last season with one of the biggest football teams in the world is almost guaranteed to shoot up in price. Ticket stubs for significant matches have also been known to fetch a bit of cash long after the game has been played. So if you’re heading to Gerrard’s last match for Liverpool on 24th May, be sure to hang onto your ticket. 2015 saw the birth of the second child of the Duke and Duchess of Cambridge. Naturally the UK and the rest of the world awaited the announcement of whether it would be a boy or a girl and on the 2nd May 2015, Princess Charlotte of Cambridge was born. The Princess’ birth, just like her brother’s, has resulted in a flurry of official merchandise, ranging from commemorative china to limited edition collectible coins. In 2040, Princess Charlotte will reach her 25th birthday and those looking to part with their purchases may find that their worth has increased significantly. Action figures can sometimes fetch rather high amounts when sold online to collectors who will pay big money to complete their set. This year we have seen, and will see, the release of some of the biggest grossing movies of all time including, but not limited to, The Avengers: Age of Ultron released in April in the UK and, perhaps the most anticipated of all, the sequel to the Star Wars series, which is released in December. 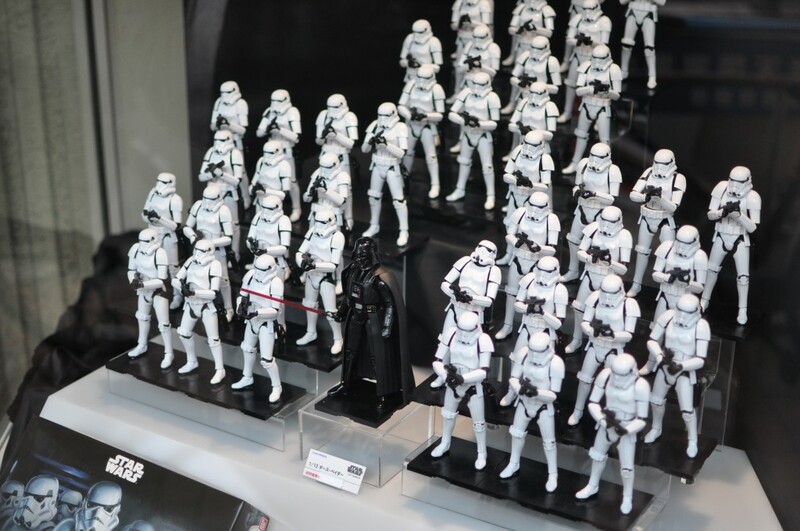 Purchasing limited edition versions of action figures now, in the year of release, could see a significant jump in sale price in 25 years’ time when collectors are searching. Just be sure to resist temptation and leave them safe and secure in their boxes. Believe it or not, but Coca Cola bottles featuring limited edition designs have become real collectible items. Coca Cola produce limited edition bottles throughout the year for special events such as the Olympic Games. Feel free to drink the contents but keep the bottle in as mint condition and as clean as possible and, in 25 years or so, you’ll find that they will go for quite a lot on sites such as eBay. 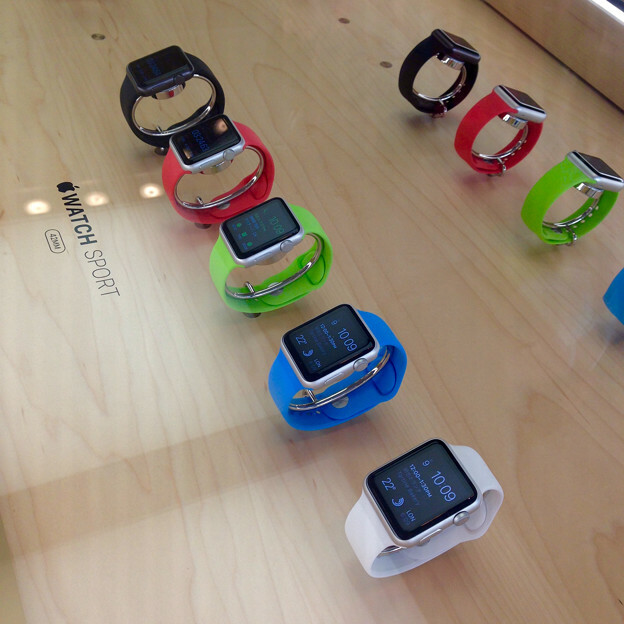 The eagerly awaited Apple Watch will launch this year, with 20 different models available to choose from and, according to Apple, the gadget “represents a new chapter in the relationship people have with technology”. Whether you believe this heralds a dawn similar to the beginning of The Terminator, it’s hard to deny that the Apple Watch boasts some incredible features, including the ability to message, take calls and check emails, access Maps, track your fitness activities and even allow you to control your Apple TV. And although this may wow us now, in 25 years’ time, this technology will be old news, and future Apple lovers will be wild to get their hands on the first edition of the famous Apple Watch. 2nd May 2015 saw two of the most high-profile professional boxers take to the ring to battle it out. Billed as ‘The Fight of the Century’, the Floyd Mayweather vs Manny Pacquiao ‘superfight’ is predicted by Yahoo! Sports to have attracted up to 5.63 million pay-per-view watchers. Prior to the fight, merchandise bearing the slogan ‘MayPac’ popped up, with fans getting their hands on replica gloves, posters and t-shirts. Nike even launched their own range of Pacquiao merchandise with logos and slogans such as #MannyDoes. If you were lucky enough to get your hands on any of this merchandise, even if you had to watch the fight on television, be sure to keep hold of it for a few years, as there is unlikely to be another fight of this magnitude for a long time. Everyone knows the game Monopoly and its reputation for causing discord even during “friendly” games. As one of the best-selling board games of all time, Hasbro, the company behind Monopoly, have launched numerous limited edition versions over the years from Pokemon and Marvel to Frozen and Despicable Me. This year sees the launch of an 80th anniversary board featuring a classic design. Limited edition versions such as this are not only fun to play, but you’ll find that people will pay good money for them a decade or two after their release. As mentioned above, vintage is a huge thing right now and this trend is likely to continue for a long time. 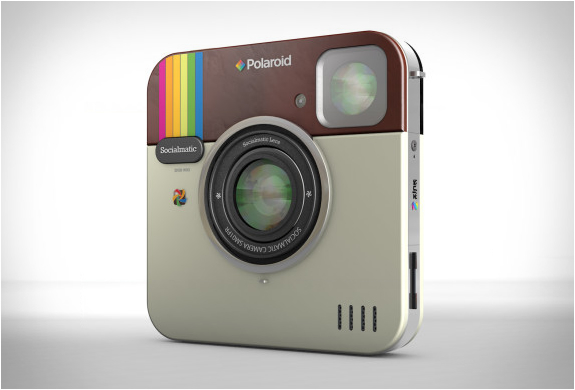 Old-style Polaroid cameras that develop instantly are so coveted right now that companies have begun to bring out their own modern versions, the Fujifilm Intax or the Polaroid Instant Print. Cameras such as these will be out of date and deemed to be vintage in 25 years’ time, so why not get ahead of the game and get yourself one? Keep it in great condition and you can even take a few snaps yourself before you get ready to sell it in the future. We may still be a few years away from Amazon’s delivery drones, but camera drones that can record film and take pictures are more popular than ever right now. A common tool for tourists, vloggers and even wedding videographers, video drones can vary dramatically in price from £500 to near on £3,000. Again, like the Apple Watch, this sort of technology is likely to be obsolete in 25 years’ time, but that doesn’t mean that people won’t pay good money to get their hands on a vintage video drone. Of course, there are many other different items you could buy; limited edition stamps and coins being two other examples, but we thought we’d give you a few more left-field examples. When buying anything that you plan on selling in the future, the important thing is to keep it in a fantastic condition, otherwise you could knock a huge chunk off its value. Many people today are thankful that they had the foresight (or downright luck) to keep items from yesteryear that are now worth a fortune. Online trading and auction platforms, coupled with the growing availability of fast delivery services, have opened up new opportunities for web sellers. It’s impossible to predict what courier services will be like in 25 years’ time, but whatever happens, don’t take your action figures out of their boxes!